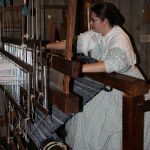 At Historic Roscoe Village you can step back into the 19th Century on a living history tour with costumed interpreters and crafters. Then stop by the Visitors Center for more in-depth history of the river town with dioramas, maps, models of the canals and locks, aquaduct, and gristmill. For a real first-hand experience, take a trip on the Monticello III, a canal boat that is pulled by a team of draft horses, and listen to the captain recant old stories of yore. For a break from the 1900’s, check out the Famous Shops of Roscoe Village, a grouping of unique stores that sell a wide variety of items, such as home decor, foods, and furniture. 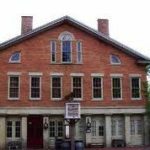 Also located at Historic Roscoe Village is the Johnson-Humrickhouse Museum where visitors can explore exhibits that cover a wide range of history including American Indians, Decorative Arts, and Ohio. 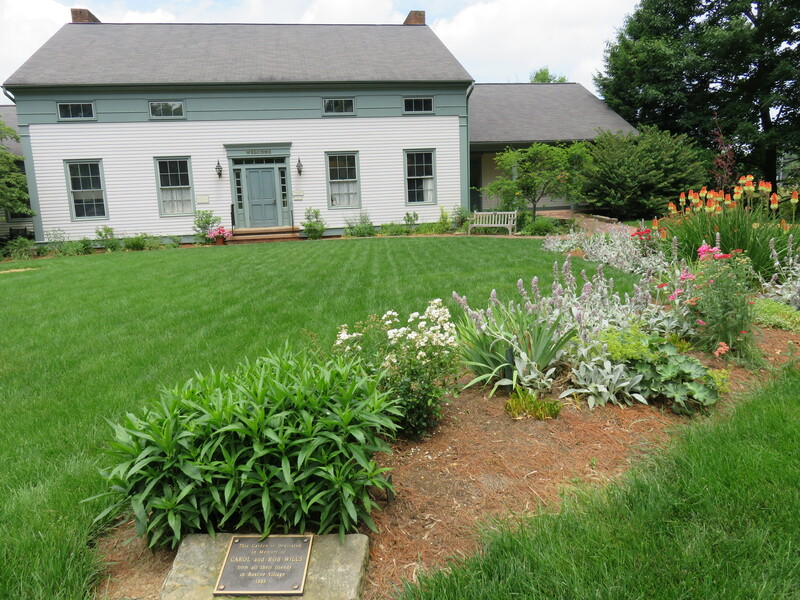 Back in the 1970’s a former local gardener, Frances Montgomery, created flower beds at Roscoe Village. 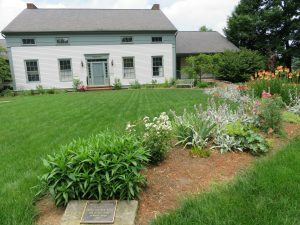 Today, visitors can wander through nine beautiful pocket gardens located in the village, with features such as a gazebo, stone wall, picket fence, and fish pond. And when hunger strikes, stop by Warehouse Steak ‘N Stein and Lock 27 Pub, known for legendary onion rings. 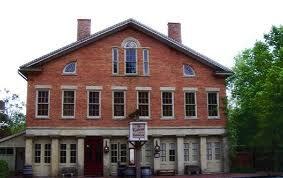 Dine inside the restored 1830’s building or, weather permitting, outside in the Carriage Gardens. 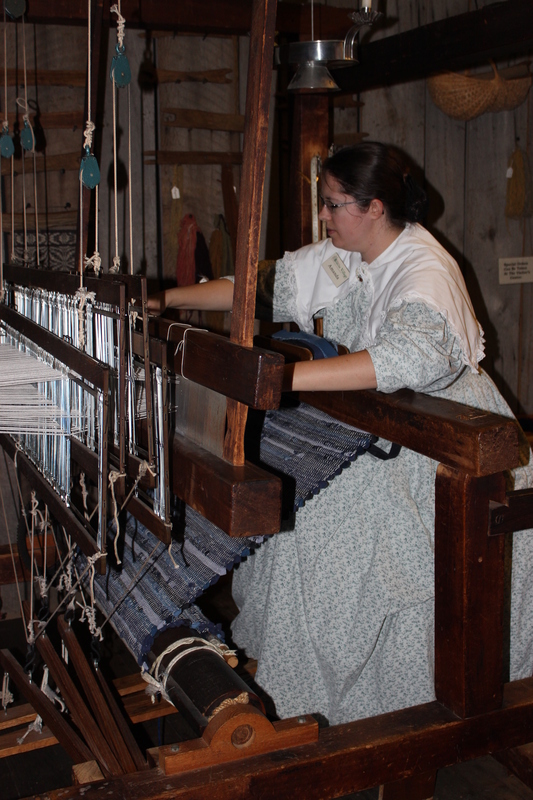 Memorial Day – Labor Day: self-guided tours daily, 10:00 a.m. – 4:00 p.m.
September – December, April – May: guided tours daily, 1:00 p.m.
Memorial Day – Labor Day: Tuesday – Friday at 1:00p.m., 2:00 p.m., 3:00 p.m.; Saturday – Sunday at 1:00p.m., 2:00 p.m., 3:00 p.m., 4:00 p.m.
Roscoe Village is a pretty 30-minute drive from White Oak Inn. Plan to stay with us and you can experience this and lots more in our area! Photos courtesy of Historic Roscoe Village.